Its easy to be ordinary. OK to be OK. 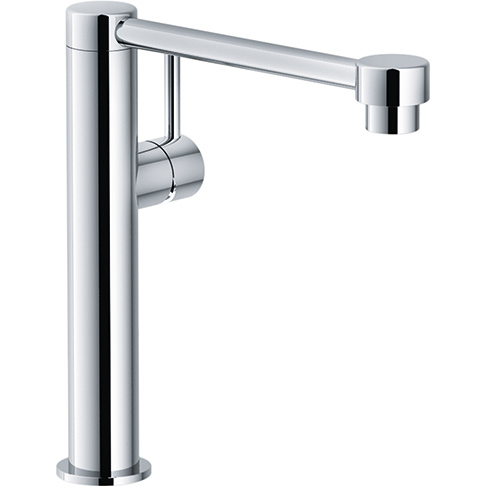 Wonderful takes the everyday and make it something special, wonderful designs, wonderful Quality, wonderful service. It inspires customers to create, which in turn creates happy customers. So lets let everyone be ordinary, while we make it wonderful. 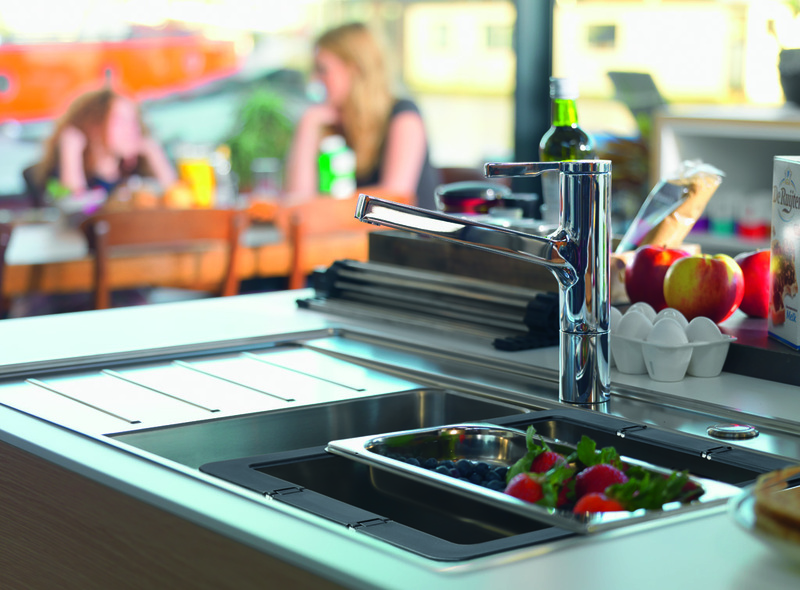 Download the franke master brochure here! 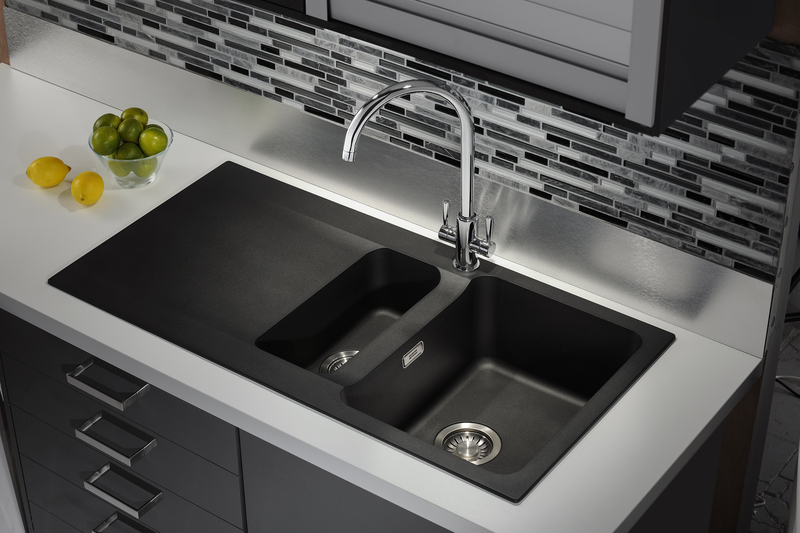 These Fragranite sinks are made for cooking one’s whole life through. The material is dirt-repellent, withstands temperatures of up to 280°C/536°F and comes with bacteria-resistant surfaces. 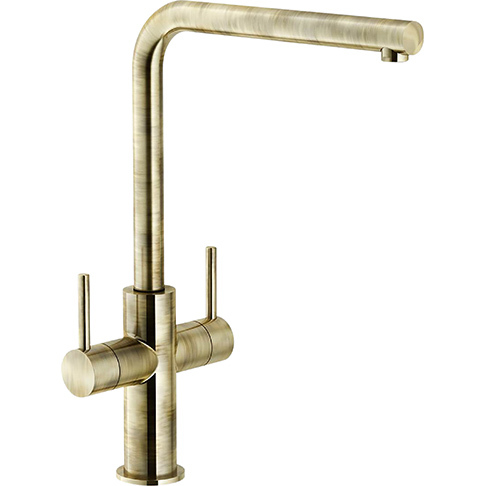 The sink will inspire with its elegance throughout its entire service life and never fail to attract envious glances. And with the perfectly coordinated accessories, food preparation is smooth and quick. 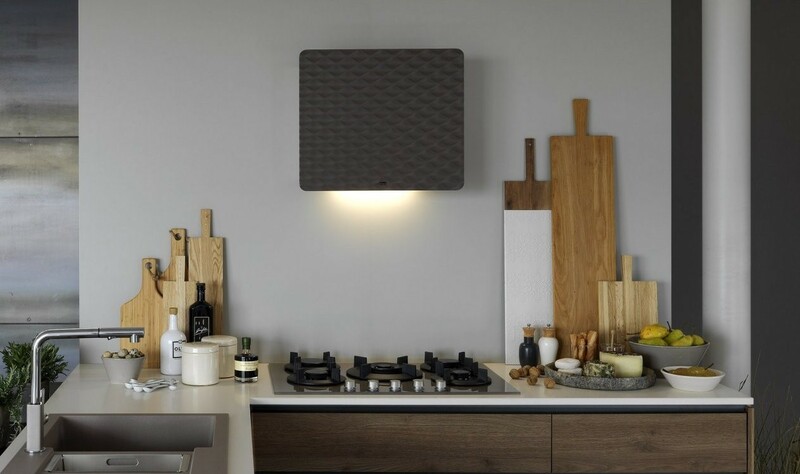 The new Impress hood from Franke, the Swiss kitchen system manufacturer, ensures an outstanding atmosphere with its unique design – it is both a kitchen appliance and a valuable home accessory at one and the same time. It lies absolutely flat on the wall in a space-saving layout, thereby providing unlimited headroom during cooking. Its lean structure means that it is also suitable for smaller-sized kitchens. 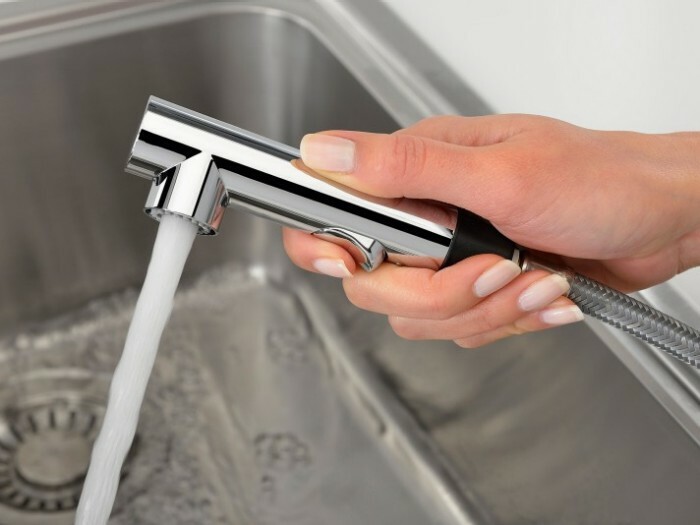 With a Pull-Out Nozzle, the spout is connected to a hose you can pull out to where you need your water flow. 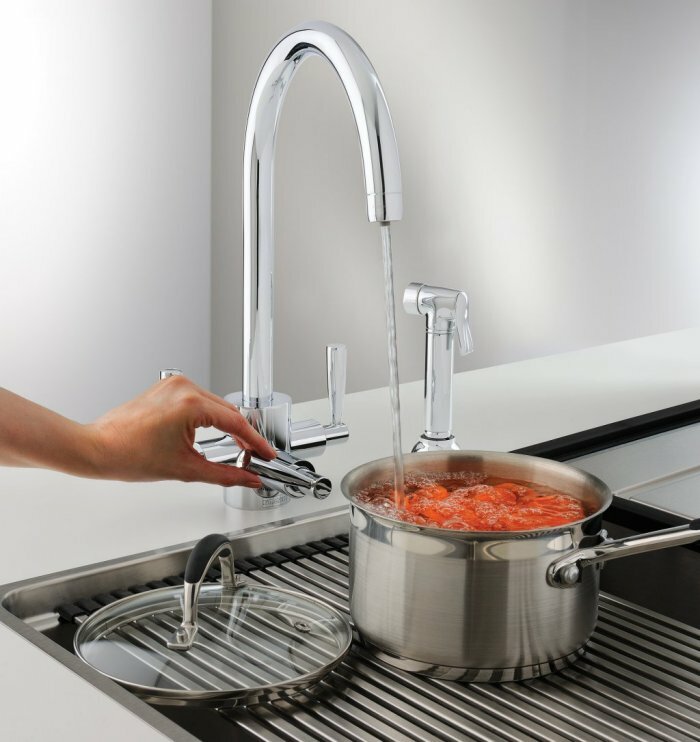 Ideal for washing salads as well as filling pots. A Pull-Out Spray also switches between standard flow and spray function for extra versatility. 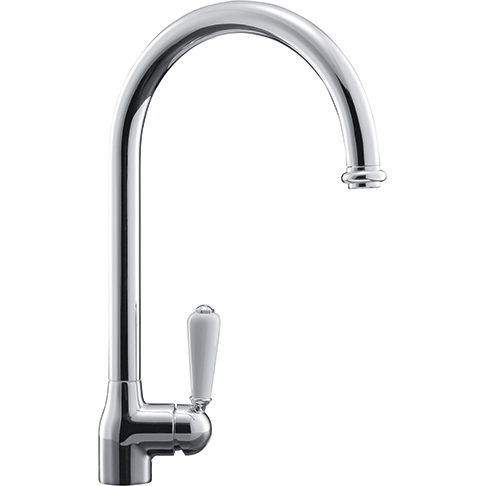 Franke FilterFlowtaps deliver hot, cold and filtered water using an advanced ceramic cartridge. 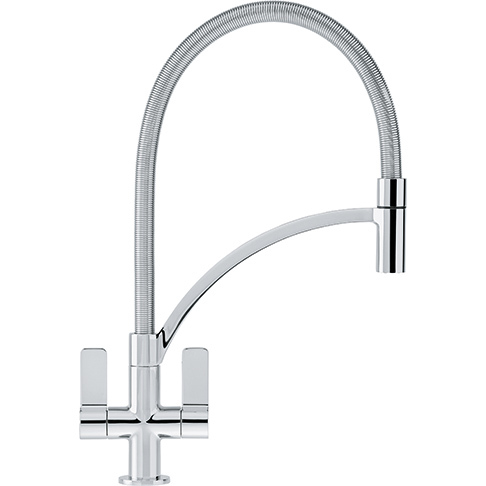 This water filtration system is protected by a robust stainless steel housing on all Franke FilterFlow taps where indicated, adding reassuring durability to elegant aesthetics. 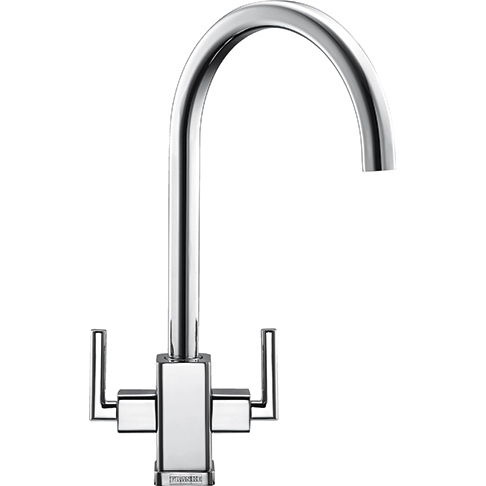 Or why not consider the contemporary stand-alone FrankeFilterFlow Mini model, which dispenses filtered water only. 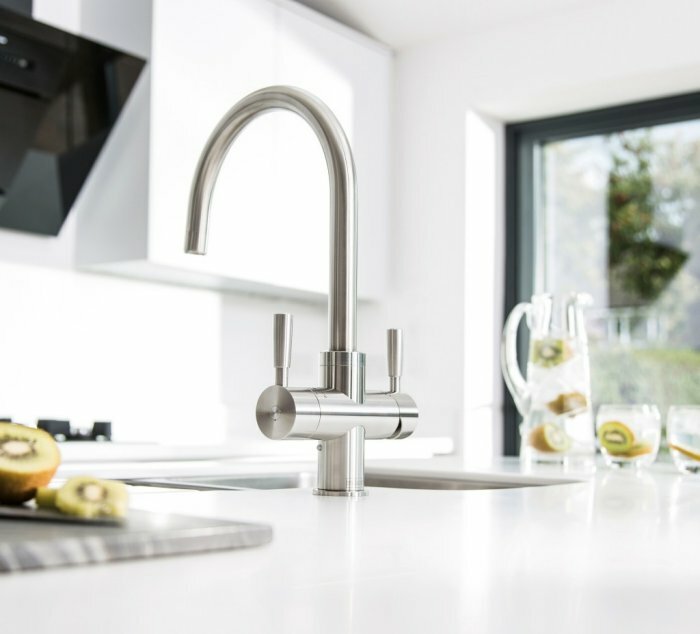 This water filtration system is protected by a robust stainless steel housing on all Specialist Franke FilterFlow taps*, adding reassuring durability to elegant aesthetics. 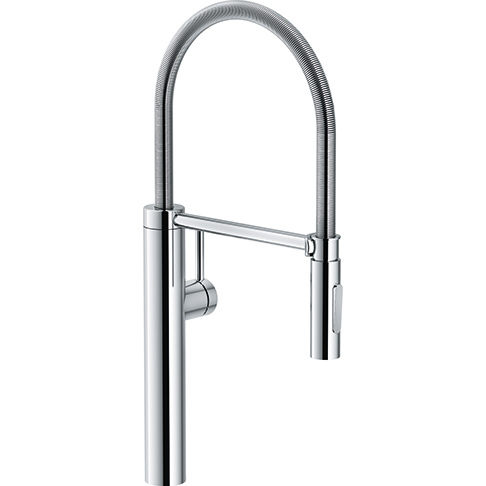 One of the big advantages of the Franke FilterFlow is the improved access to the housing via the bayonet fitting, meaning easy filter changes.